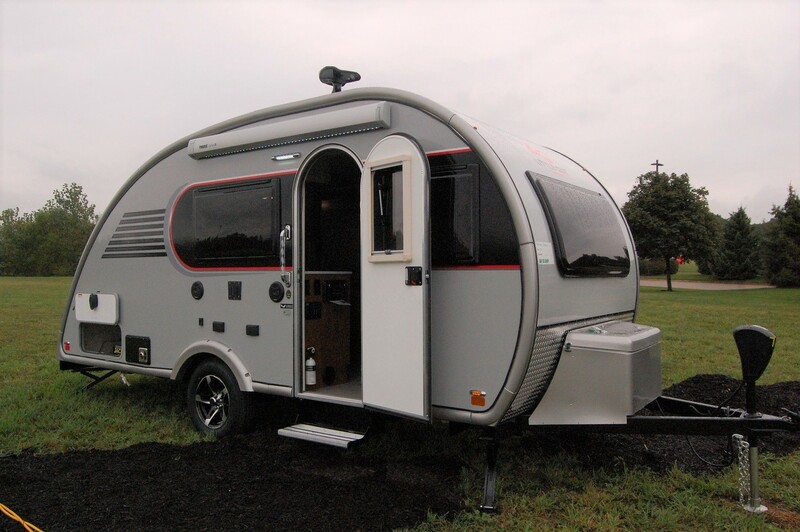 Green, Ohio based Little Guy Worldwide has announced they will be adding the iconic Serro Scotty trailer brand to their lineup of small travel trailers and teardrops. 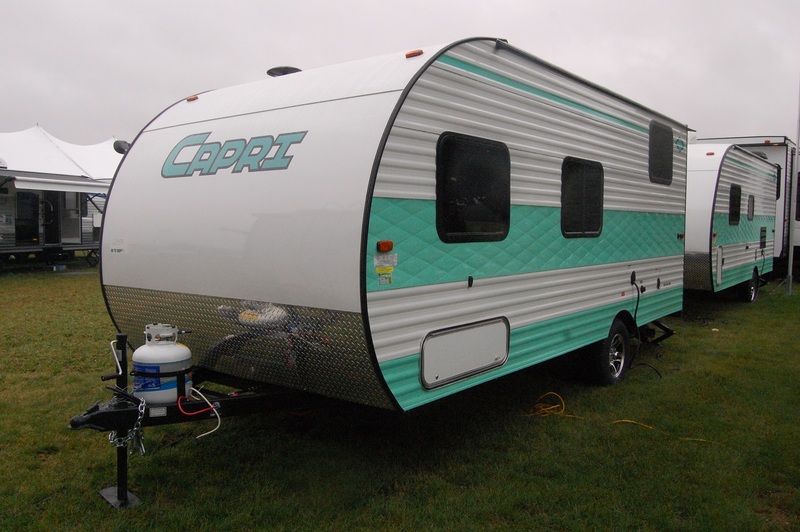 “Scotty trailers are a big part of the rich camping heritage of America,” said Joe Kicos, owner and president of Little Guy in a press release. 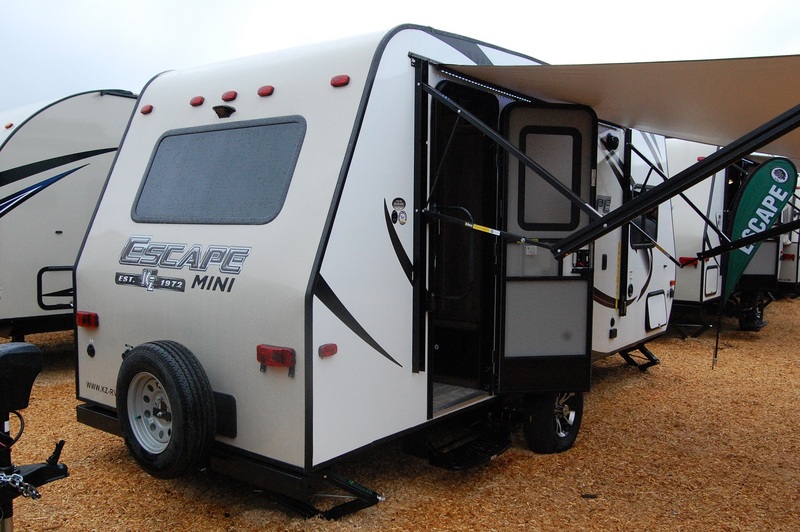 “We are very excited to add the Scotty trailer brand and history to the Little Guy family.” Little Guy is one of the most well known teardrop trailers on the market since it first rolled out 20 units in 2002. The Serro Scotty name dates back to 1957 when John Serro first built, coincidentally, a teardrop trailer. In a short time, Serro Scotty campers became one of the most affordable and mass produced family campers throughout the 1960’s and 1970’s, and ultimately had manufacturing facilities in Irwin, PA, Ashburn, GA, and Bristow, OK. After the Ashburn and Bristow plants closed, the Irwin plant burned to the ground in 1997, ending Serro Scotty’s 40 year run of building trailers. 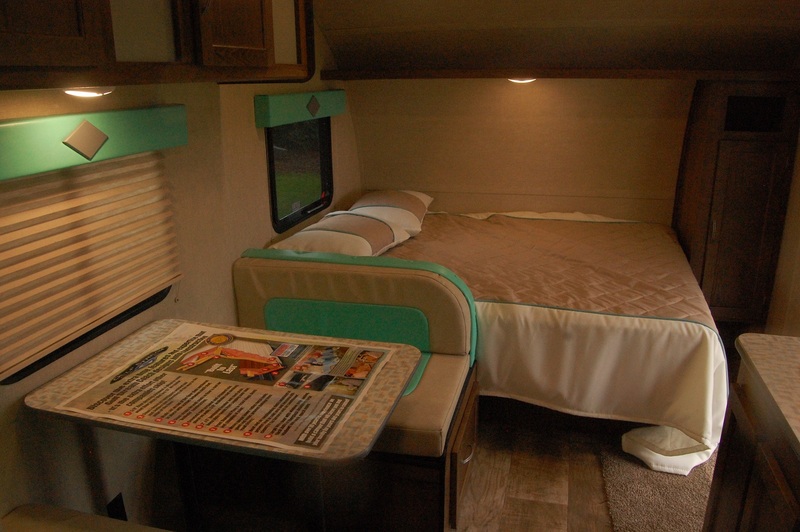 In 2006, Pennsylvania RV dealer Bill Kerola revived the Serro Scotty brand, having a series of manufacturers build a limited amount of HiLanders and other models of Scottys. Before news of the acquisition of the Serro Scotty brand by Little Guy broke this week, I had confirmed with Kerola that he in fact had not renewed his licensing agreement with the Serro family. Under the Kerola-era of Scotty production, the 16′ HiLander was by far the most popular of the models. Having owned a 2010 HiLander for five years, I had a pretty close relationship with Kerola, as well as some other owners of the revived brand. While there was a small dealer network at first, it later moved to a factory direct concept. After going through several manufacturers, all production ceased by 2015. Today I spoke with Little Guy Vice President of Operations, Dylan DeHoff. They’re very excited about acquiring the rights to Serro Scotty and the plans they have for it. “The first few models will strictly be retro designed. Our plan to keep the retro look on the outside with the white/turquoise colors, teardrop shaped fender cutout, etc. 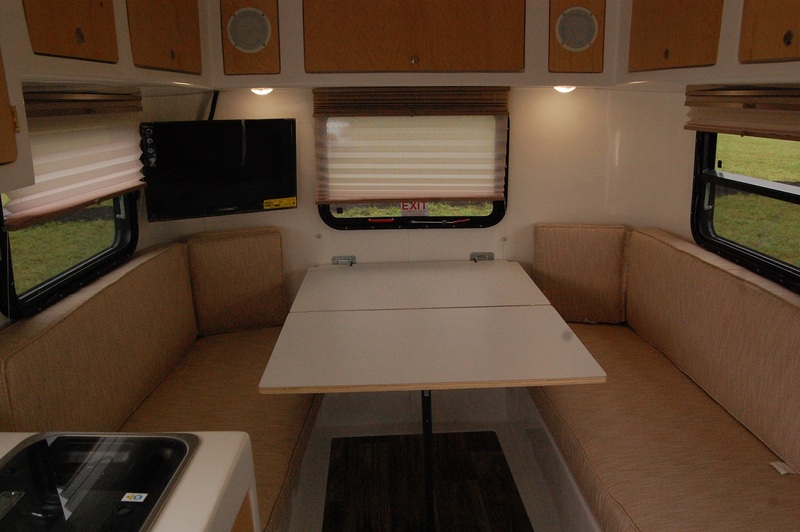 The outside would also feature some basic RV designs like white framed windows. On the inside a standard unit would not be retro at all, but rather a neutral interior: Neutral colored cabinets, counters and floors. 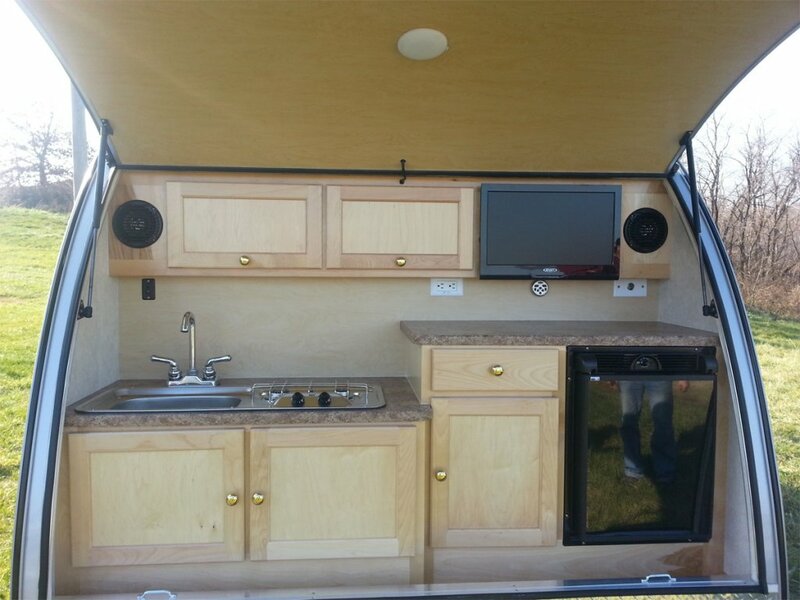 It would feature your typical RV components such as a Dometic stove, fridge, Coleman AC, etc. We plan to make a line of retro models ranging from 13 to 23 feet. For the customers that want the entire retro experience there will be a retro package which will change the flooring, curtains and other cosmetic items to feature a retro design. To kickstart the Serro Scotty brand, Little Guy has created a new website for the Scottys at http://serroscottytrailers.com, where for now you can add your name and email to receive Serro Scotty updates from Little Guy. As big as the news is of Little Guy reviving Serro Scotty, probably bigger is news of their pending separation with long time manufacturer Pleasant Valley Teardrops. The agreement between Little Guy and Pleasant Valley ends on April 1, 2017. While details are a little murky on the separation, what is known is that Little Guy has secured a 169,000 square foot manufacturing facility (rumored to be in the Elkhart, Indiana region) that will handle current and new product lines, with another 200,000 square feet of space in reserve for anticipated future expansion. 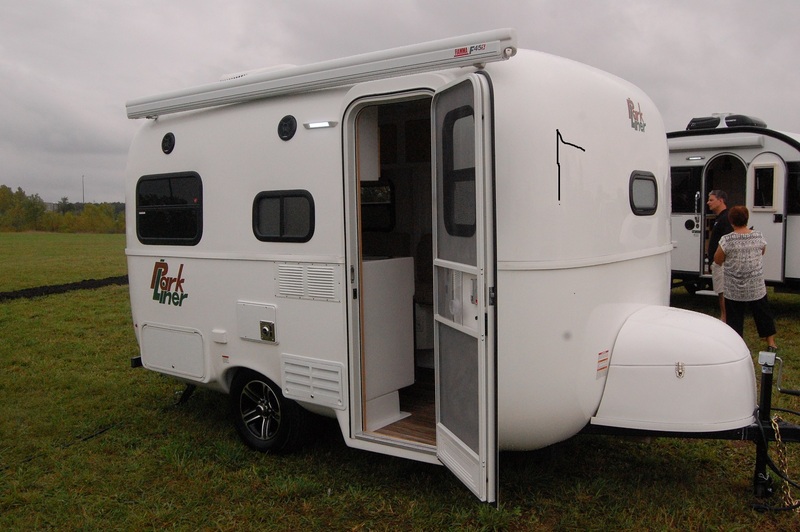 But what is not known is how this split will affect all the brands that have been built by Pleasant Valley and marketed and distributed by Little Guy: T@B, T@G, myPod, Little Guy Teardrops (5-wide, 6-wide, Silver Shadow, and Rough Rider), and Cirrus truck campers. Some are owned by Little Guy and some are owned by Pleasant Valley. Obviously this is a pretty big deal and I’ll be gathering more information and sort it out for you all in a separate post here on The Small Trailer Enthusiast. Look for much, much more on this in the months to come. Little Guy Worldwide has jumped into the national spotlight with the debut of a new FOX network reality show called “Home Free”, which airs Wednesday nights at 9pm ET. The premise of the show involves a competition between eight different families who are renovating homes in the Atlanta area, with guidance by contractor Mike Holmes. 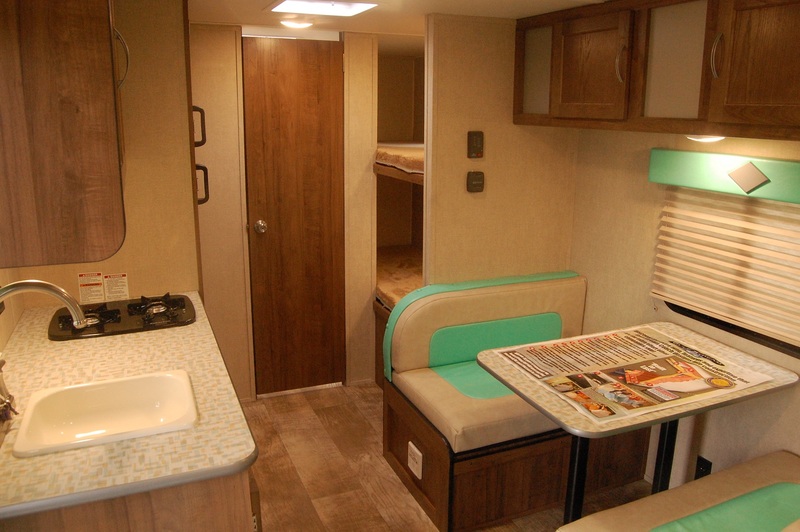 While they’re on location, the families are living in Silver Shadow teardrop trailers by Little Guy. Chris Baum of Little Guy Worldwide has been making the rounds promoting the show and Little Guy’s participation. He was here in Indianapolis where he spoke with affiliate FOX59 at their studios (Hey Chris, don’t forget your friends at The Small Trailer Enthusiast the next time you’re in town! :-D). Little Guy Worldwide has announced a new concept to the T@B for 2015. The T@B Outback will be an upgrade package that will allow for taking a T@B off-road. 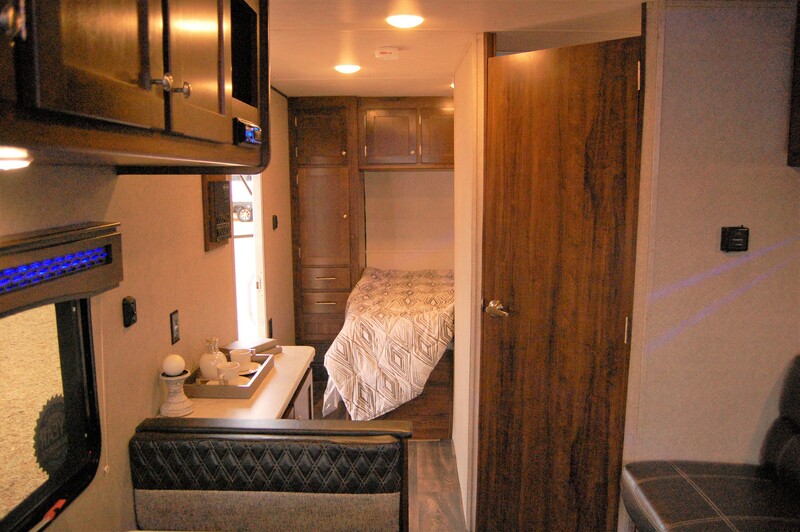 The Outback will be available in any of the T@B floorplans EXCEPT the Clamshell. Production will start over the next couple of months and units should be available come the start of the 2015 camping season. Although the T@B Outback is not on the T@B website as of this posting, I’ll have a follow-up post over the coming months as more details become available. 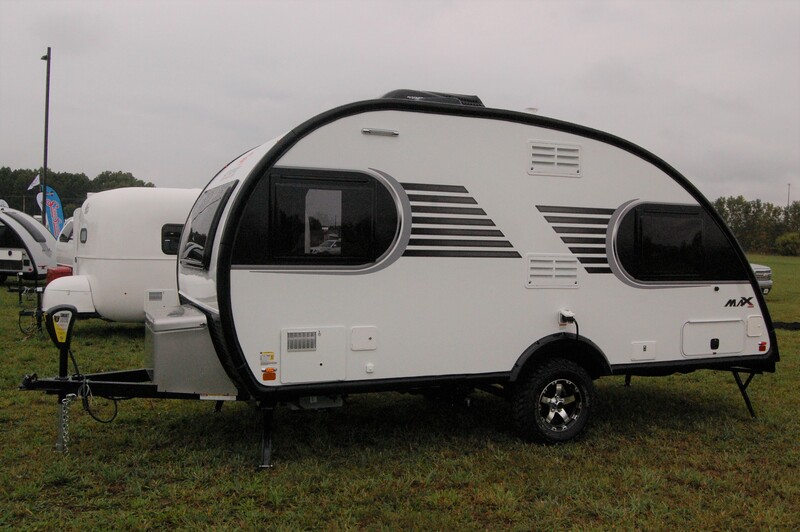 Little Guy Worldwide plans to debut the reintroduction of the T@B Clamshell model at next weeks 50th Annual National RV Trade Show in Louisville, KY. The first images of the Little Guy version of the Clamshell were released in an article Friday on rv-pro. Comparing the Little Guy version (above) to the the previous version built by Dutchmen (below) there are a few cosmetic changes. 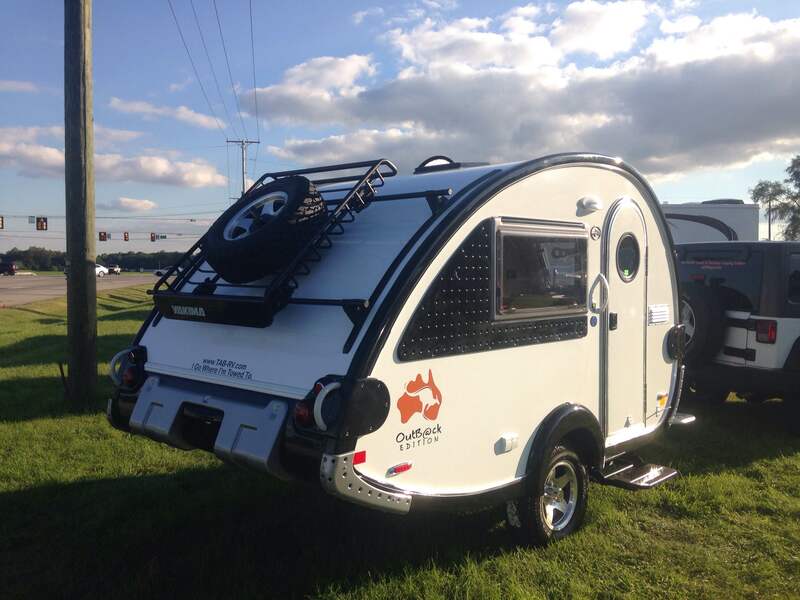 On the Dutchmen, the bottom of the trailer has a slight upward angle near the rear, where the Little Guy version is straight all the way across from the wheel well to the rear hatch. 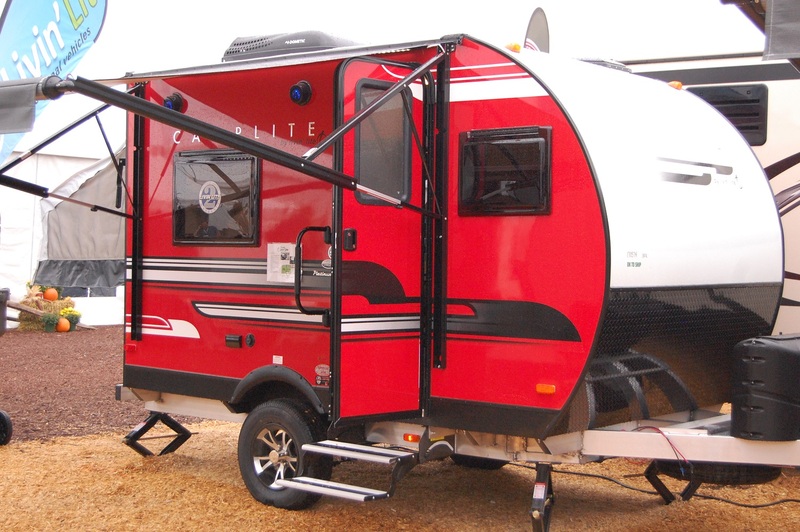 The LG version incorporates new LED strip tail/brake lights below the hatch on a diamond plate base, where the Dutchmen version used standard travel trailer tail lights afixed to the hatch. Much cleaner look on the LG model. 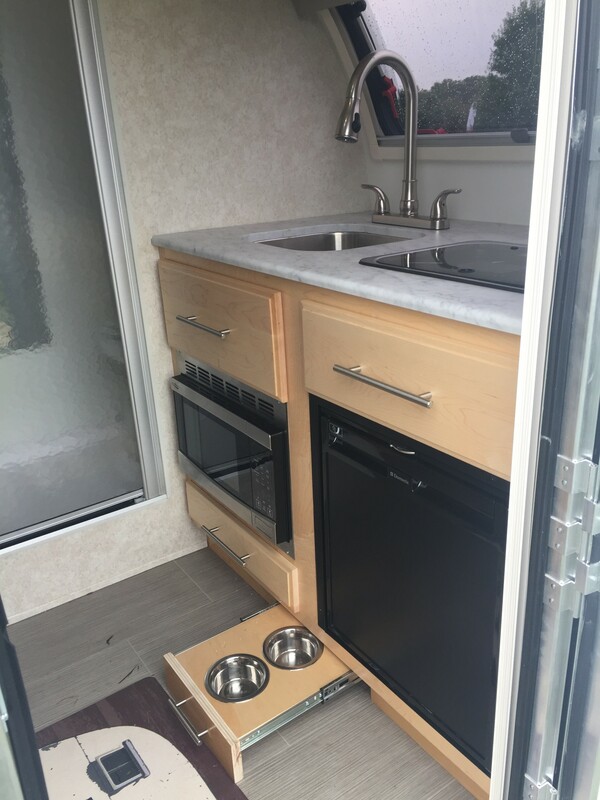 But overall, the concept remains the same with the kitchen area enclosed in the rear hatch of the unit. The kitchen will house ample cabinet space, a sink , stove, refrigerator, and an optional flat screen TV with remote and external speakers. Aside from the Clamshell model, a new model called the “S” floorplan is also being introduced as well. 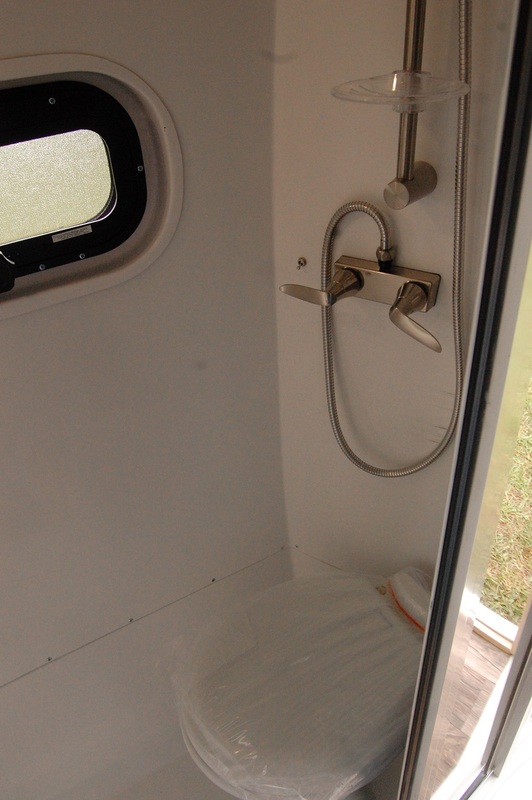 It will be a T@B with a wet-bath, and will also be available as an option in the Clamshell. 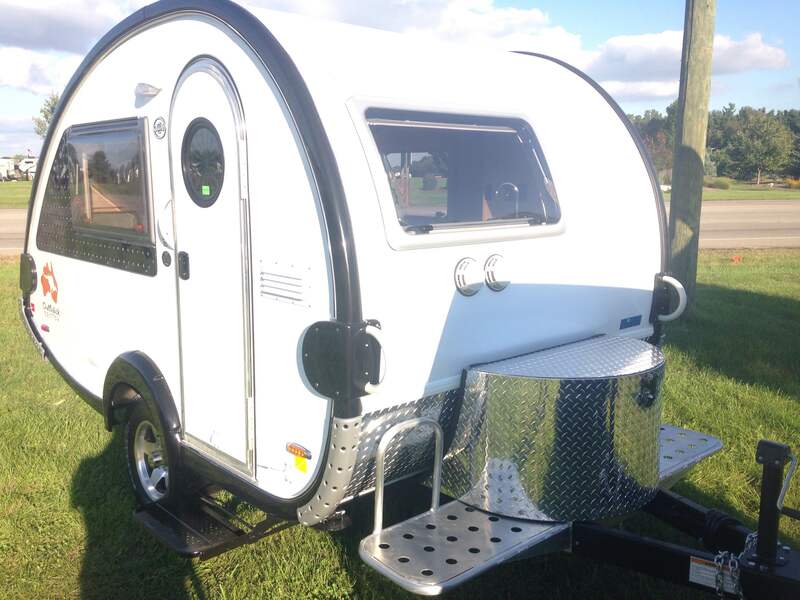 The Clamshell gives the best of both worlds, for those who like a tradtional teardrop trailer where the kitchen is in the rear yet gives one room to stand up in the interior of the trailer. It’ll be interesting to monitor the message boards over the next few years to see how well these Little Guy hatches hold up against water intrusion. Dutchmen Clamshells had a troubled history of leakage resulting in damaged or rotted wood. I’ll be attending the Louisville show next Tuesday on opening day, so I’ll be giving my first hand impressions of the Clamshell (as well as other smallish trailers) later next week. I’ll be Tweeting throughout the day from Louisville, so be sure to give us a “Follow” via the link on the right side of this page. For those of you who don’t Tweet but are on Facebook, you can give us a “Like” via the link on the right and view my Tweets there. As always, thanks for reading! In a press release this week, Little Guy Worldwide announced a partnership with America’s oldest brewery, Yuengling. 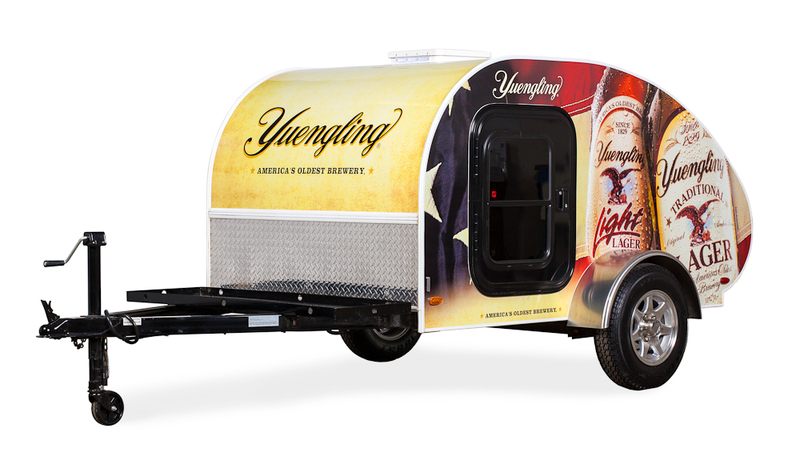 The partnership is in the form of a contest where a Little Guy teardrop trailer, wrapped with Yuengling’s brand, will be the grand prize. The contest is restricted to Ohio residents only, so those of you in the Buckeye State have a chance to load up a new teardrop full of America’s oldest lager. Full details on the contest can be found by clicking here. And lead them to Little Guy it has. Their 2011 production numbers were up a whopping 50% compared to 2010, and January 2012 numbers were better than any January in the company’s history. Part of that increase can also be attributed to an aggressive marketing campaign, which includes Little Guy being featured twice a month on TV game shows “The Price is Right” and “Let’s Make a Deal”. Another coup for Little Guy was adding the nation’s largest single site RV dealer, Lazydays RV in Seffner, Florida. 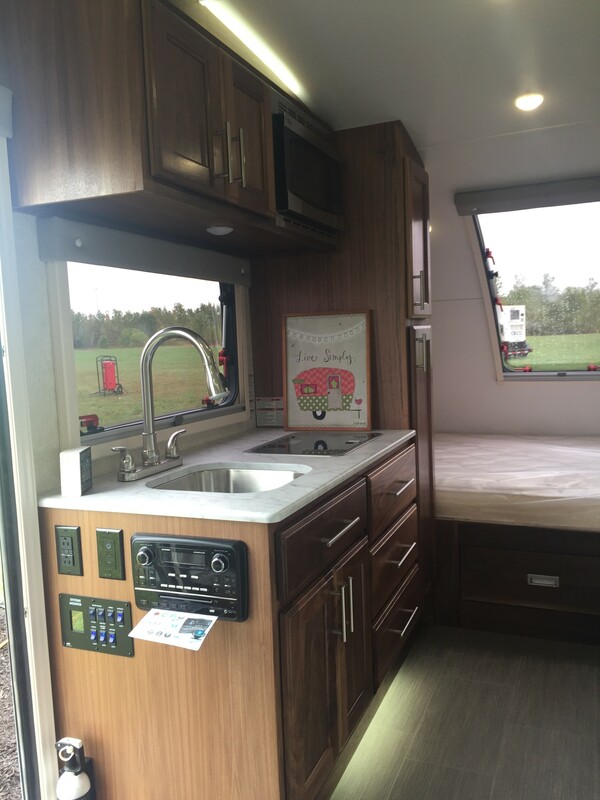 “The things that make the Little Guy great for Lazydays are that it’s light enough to tow with just about anything, it fits in a standard garage to eliminate storage issues, and it is affordable for anyone looking for a hard-sided RV option in which to camp,” said Marc Taylor, Lazydays new inventory sales manager. Lazydays currently has eight various Little Guys in their inventory. Probably the most interesting news Dylan had to share was in regards to a possible new T@B floor plan coming online later in 2012. Actually it’s not a new floor plan to long time T@B enthusiasts: The Clamshell. Dutchmen offered the Clamshell as well as a handful of other T@B floor plans. However, the Clam was unique from the other standard T@Bs. 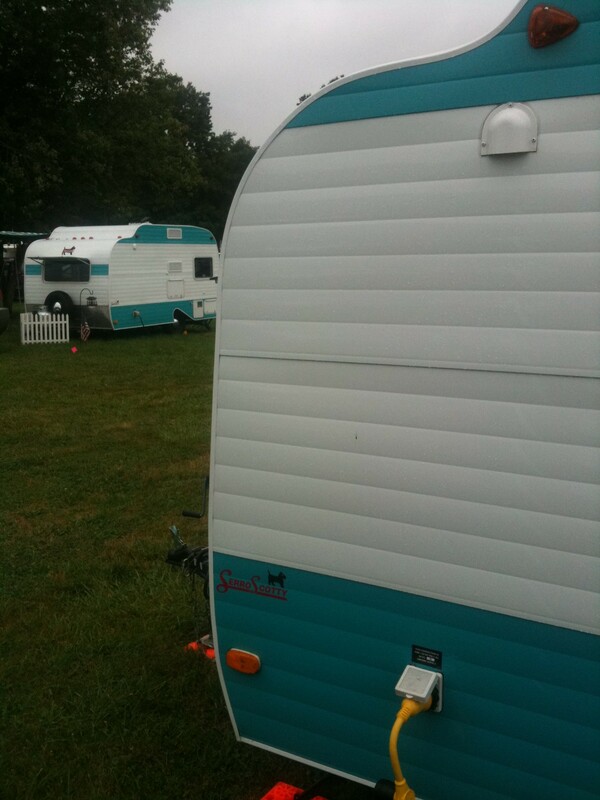 It was more of a traditional teardrop trailer with the kitchen area in the rear that was accessible via a rear hatch. But unlike a traditional teardrop, it had the same interior height inside as a regular T@B. It gave teardrop and T@B fans the best of both worlds. Even though Dylan tells us the Clamshell talk is just a rumor, I’m confident it’s past the rumor stage and planning is likely well underway. Once…errr….”if” the Clamshell comes to fruition, we’ll pass on the details as they develop. November 29-December 1 marks the RVIA’s 49th Annual National RV Trade Show in Louisville, Kentucky. Over 60 manufacturers and over 200 suppliers will be on hand for three days of product debuts and exhibition. I was fortunate enough for the RVIA to offer me an invitation to attend…and attend I will! 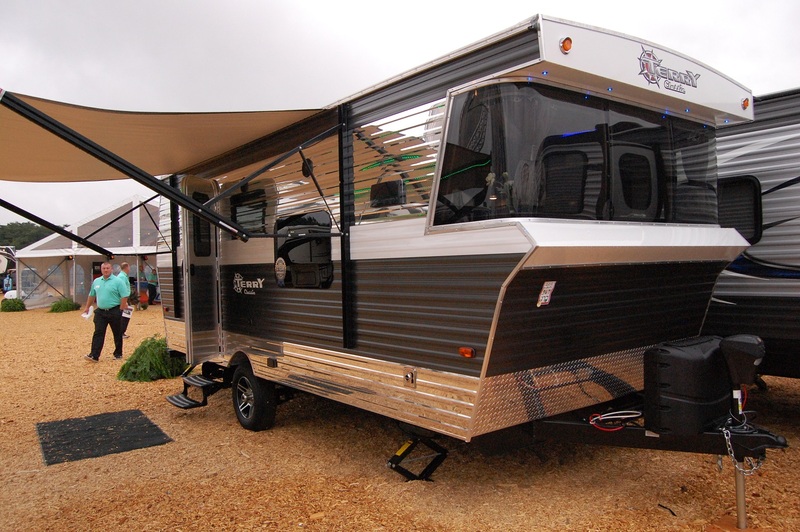 Most of the nation’s leading recreational vehicle manufacturers will be on hand, as well as many of those who produce small travel trailers, such as Little Guy Worldwide, Livin’ Lite, Riverside RV, and the bigger manufacturers such as Gulf Stream and Forest River. One booth I’m interested in visiting is that of Travel Lite. 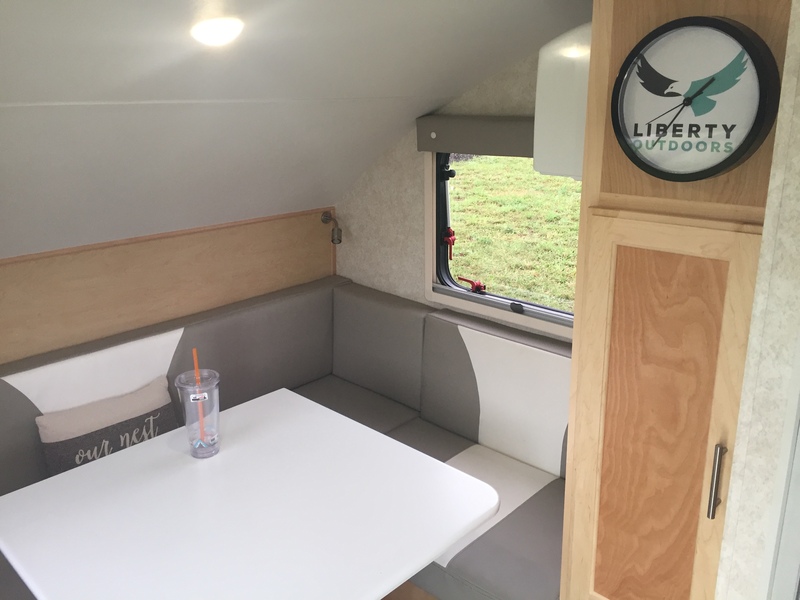 They’re a truck camper company, but will be debuting their first endeavor in the travel trailer arena with the new Idea travel trailer, which will come in lengths from 16 to 18 feet. Travel Lite has plans to donate a portion of each Idea sale to Habitat for Humanity. The annual Louisville trade show has always been a showcase where new models are debuted. Last year, Riverside’s Bob Taulbee introduced the world to the Riverside Retro, which is in production today with a new floor plan soon to come off the line. However, not all units that debut in Louisville ever see the light of production. 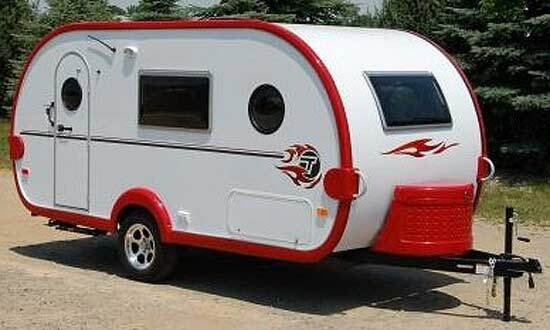 Case in point, in 2008, Airstream debuted the Scout concept trailer. Highly retro in design, but for whatever reason never made it to production. What other new trailers that will debut at this year’s RVIA trade show will be answered in the coming days. Stay tuned, as I’ll have plenty to update you on. 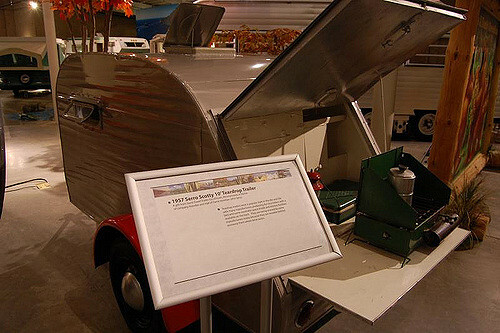 When Dutchmen ceased production of its T@B teardrop trailer in the summer of 2009, it left the existing owners of the unique lightweight trailer concerned. 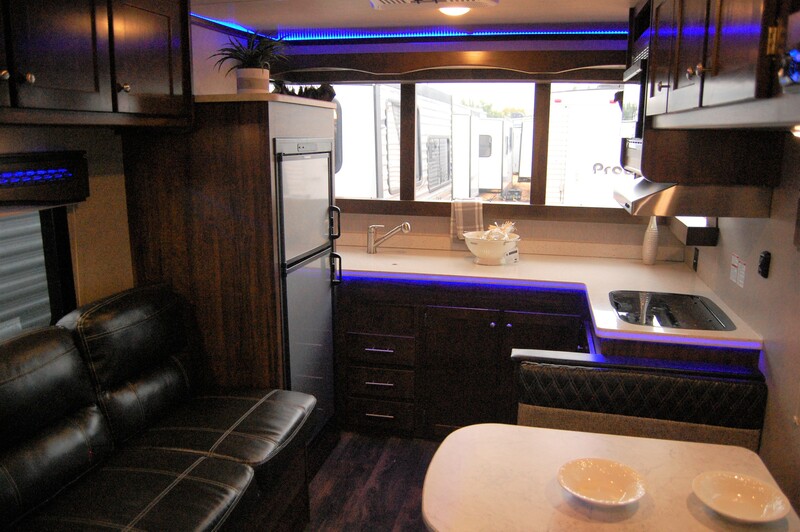 After all, many of its parts weren’t your typical RV parts that could be found on just about every make & model. Many of the parts came from various parts of Europe and came with a hefty price tag. We got a quote on a replacement door when we were T@B owners at the tune of over $1,000. Just one example of the cost of owning a Dutchmen T@B. It’s not publicly known why Dutchmen put the T@B on the chopping block, but speculation had been it just wasn’t a profitable line, mainly due to the cost of putting them together. However, T@B owners are a resilient group. With over 3,000 members on a Yahoo Group dedicated to the T@B, and its big brother the T@DA, owners forged on and found ways of keeping their extinct trailers together by sharing ideas and finding resources for replacement parts. Rallies were still formed that drew a good number of T@Bs and T@DAs, with the campfire talk often times centering around whether Dutchmen would start building the T@B again. That question was answered in 2010 when Dutchmen answered with a simple “No”. So that would be the end of that, right? Well….no. 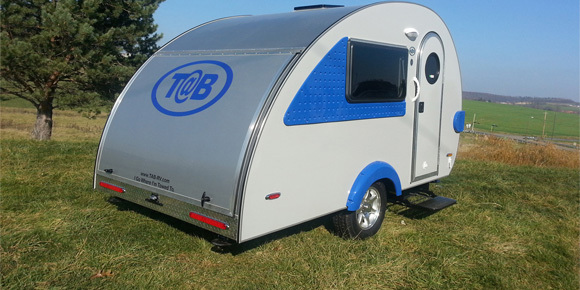 Enter a teardrop trailer manufacturer from Ohio. 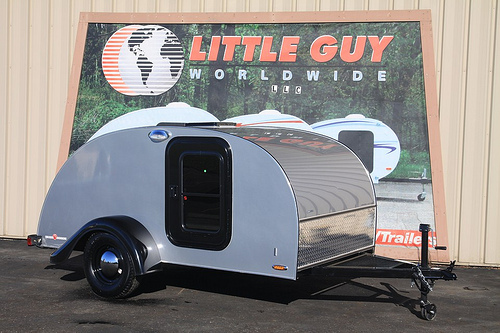 Little Guy Worldwide was formed in 2002 and has quickly become the big guy on the teardrop manufacturing scene, fueled by their popular 5-wide and Silver Shadow line. When Dutchmen discontinued the T@B line, Little Guy seized the opportunity to negotiate with Dutchmen to acquire the rights to build T@Bs, which added a new dimension to their lineup. 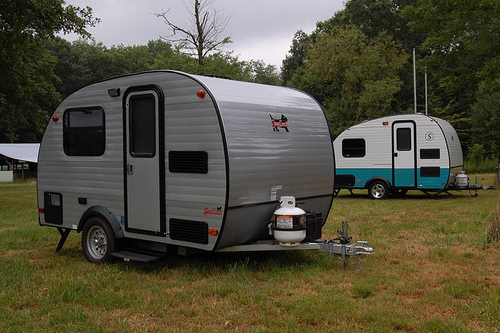 Little Guy has their trailers built by Pleasant Valley Teardrop Trailers, but both companies are essentially joined at the hip. Recently I was in touch with Little Guy Senior Vice President and CEO of Pleasant Valley Teardrop Trailers, Scott Hubble. 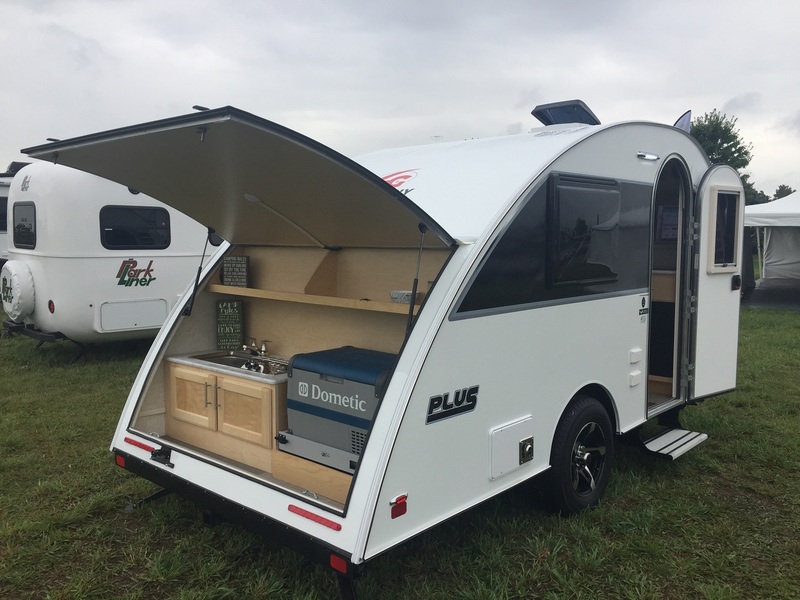 When asked when Little guy first decided to pursue the T@B, he tells us, “Following Little Guy moving the production of its trailers from Elkhart, Indiana to Sugarcreek, Ohio, the focus turned to developing a stand-up teardrop model. Expanding the product lines distributed by Little Guy has always been a goal of ours. A stand-up teardrop was the most logical fit. The manufacturing side of our operation – Pleasant Valley Trailers – was poised to begin development and offer something in the same vein as the T@B; however, when it was discovered that Dutchmen’s new executive group decided to drop production of the T@B, Pleasant Valley Trailers seized the opportunity to acquire an established product with a large following and have Little Guy sell it to the masses. Once we knew that T@B was available, we knew it was a perfect fit and an absolute no-brainer, from a sales and marketing standpoint.” The deal with Dutchmen, completed last winter, included drawings, schematics, marketing material, web site…essentially all the rights Dutchmen previously held relating to the T@B. Following the building of the initial prototypes in the first half of 2011, production models are currently in full swing with another 100 to be produced by the end of the year. Hubble is projecting production numbers up to 600 units in 2012. “Since this isn’t a new product and sweeping changes haven’t been made to it, the barrier to sales is pretty low and we can be choosey about what dealers we bring on board. By the same token, the public has been deprived for the past 2 years and are eagerly anticipating the revival of the T@B.” However, their goals don’t stop there. “In our current facility, we could probably produce about 1200 units annually. This would be where we project being in approximately 18-24 months.” Combined, Dutchmen produced over 4500 T@Bs and T@DAs over a 7 year period. The door handle, door thickness, wheel wells and black trim pieces on the original T@Bs all had failings to one degree or the other. 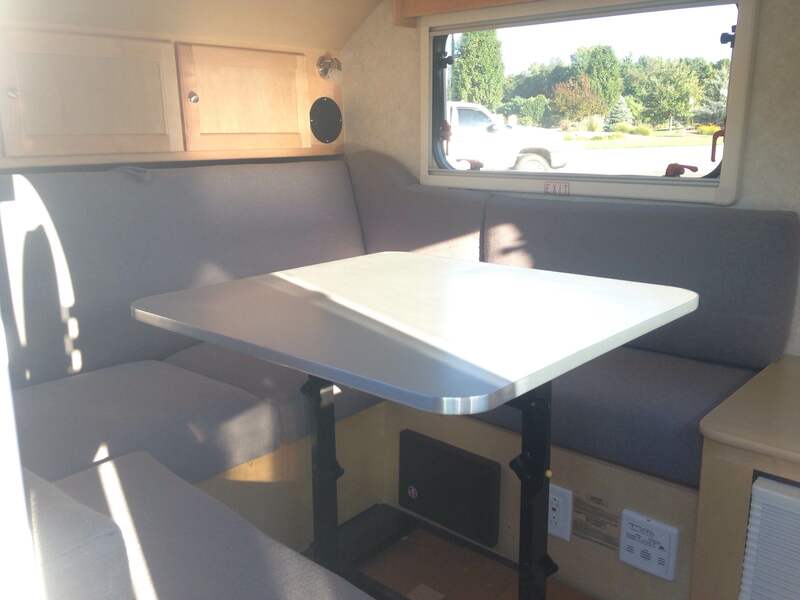 To address that issue, they moved to a new handle, more substantially weighted door, solid aluminum vs. mesh wheel wells and have employed automotive adhesive to keep the trim adhering to the roof of the camper. In addition to the sink/stove and spare tire, they have made several other features standard, that were formerly optional. Those items include: Norcold Fridge, CoolCat 110 AC/Heater, LP Furnace, TV/DVD player, Screen Door, Alloy Rims, Port-a-potty and a 3-Way/Dual Directional Fantastic Fan. 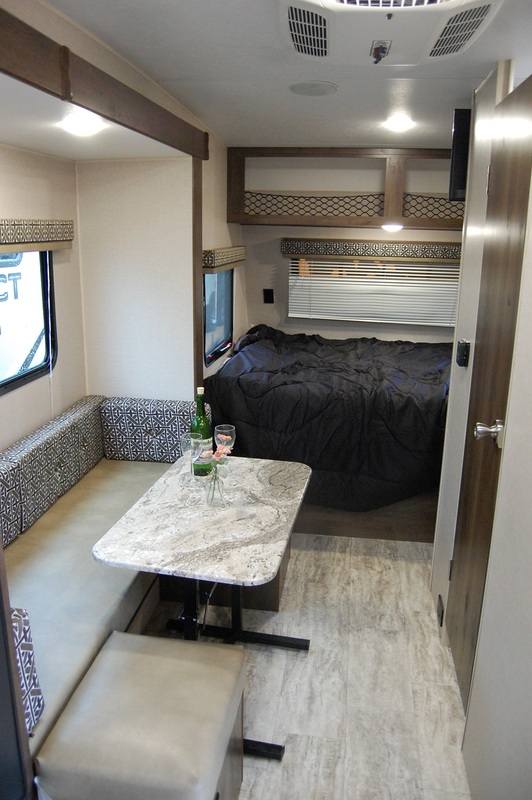 In addition, there were a couple of other things that were overhauled – there is a new E-coated, U-channel frame with hydraulic coupler, a diamond plated gravel guard, Amish built interior cabinetry and extra 110 and 12v outlets. Axle weight was also increased to 3500 lbs, creating nearly 2000 lbs of hauling capacity compared to Dutchmen’s axle, which barely gave you 300 lbs. The weight of the trailer tops off just under 1500 lbs. Most of the expensive European parts on the Dutchmen T@Bs will be produced locally, which in turn keeps the cost of the trailer down. Once the initial wave of production takes hold, there may be additional models of the T@Bs coming back that Dutchmen produced, most notably the T@B Clamshell model. Chris Baum, Little Guy Chief Operating Officer, believes they can overcome the notorious leak problems that plagued the Dutchmen T@B Clamshell, due to Little Guy’s experience in building reliable hatches in their regular line of teardrops over the years. 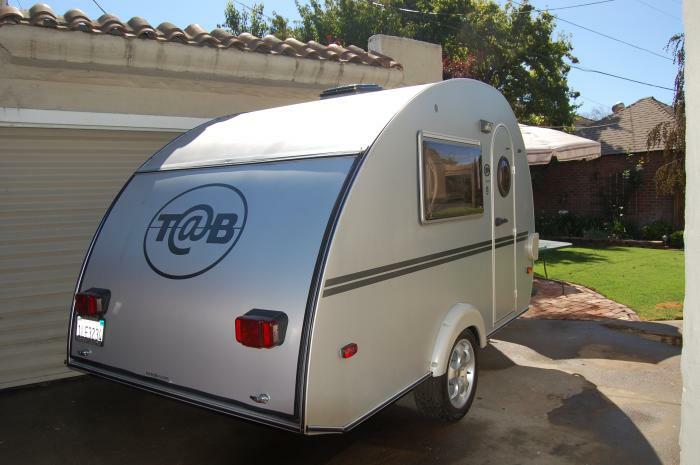 The return of the T@B to the lightweight travel trailer market should be interesting to watch. Little Guy has been known in recent years as a company that is continually making improvements in their trailers and not sitting still. With that kind of company behind it, the T@B is definitely in good…if not better….hands since being sent out to pasture by Dutchmen.